This statistic shows the results of a survey conducted in the United States in March 2017, by community. U.S. adults were asked if they could imagine using an app that would help them quit smoking. 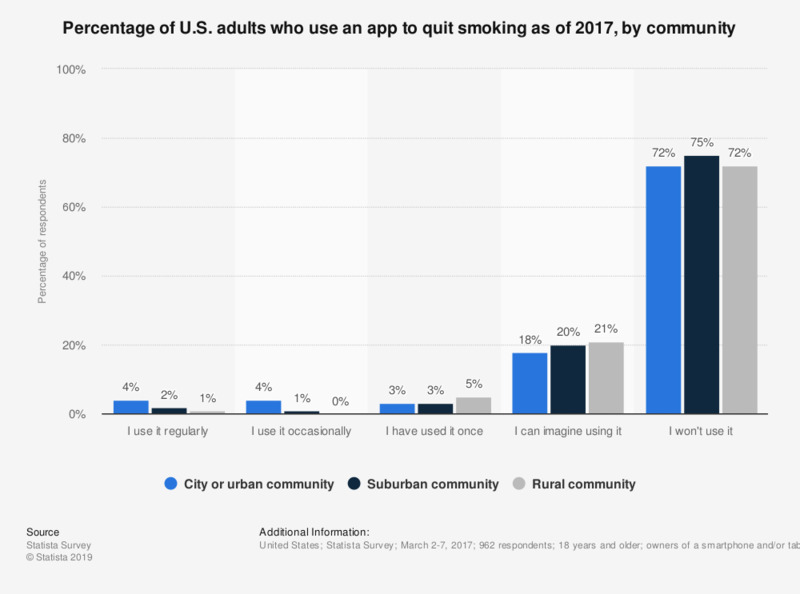 In total, four percent of respondents in city or urban communities used apps to quit smoking on a regular basis, compared to only one percent of those in rural communities.